Responding to Afghan government’s eight day ceasefire on the occasion of Eidfestival, the Taliban in Afghanistan has for the first time announced a three-day ceasefire on Eid al-Fitrholiday at the end of this week. According to Kabul based Tolo News, Taliban on Saturday issued a statement that it has ordered its fighters not to clash with Afghani Security forces for the first three days of Eid. Most of the Muslim countries observe three day holidays for the Eid celebrations. However, the statement said that the ceasefire would exclude foreign forces ordering their fighters to continue attacks on them. Taliban have not given exact dates according to Gregorian calendar as Eid is celebrated according to lunar Islamic calendar. Eid starts when the moon is first sighted on either the 29th or 30th day of Ramadan. Sometimes moon appears at different days in a single country. Taliban’s response came after Afghan President Ashraf Ghani in a televised address on Thursday announced an unconditional ceasefire with the Taliban from June 12 to 19. Ghani said fighting against other armed groups such as Daesh (IS) will continue. The surprise move by the government came days after over 2000 Islamic scholars in Kabul issued a fatwaagainst suicide bombings and attacks. Unfortunately, the meeting was attacked by a suicide bomber, killing at least seven people. Moreover, the Tolo News said that Taliban also ordered their shadow governors to identify prisoners in their custody, who could provide guarantees that they would not be a future threat to the group, to be released. The group’s leadership has also asked their fighters to make arrangements for families of prisoners to visit them during Eid. The ceasefire announcement by the government and Taliban triggered a positive vibes among the international community. US State Department, NATO’s Resolute Support Mission and US forces in Afghanistan, Federica Mogherini, the Chief of EU Foreign Affairs and Security Policy, Boris Johnson, UK Foreign Secretary, Jens Stoltenberg, the Secretary General of NATO and the United Nations Assistance Mission in Afghanistan (UNAMA) and Russian foreign ministry have welcomed the move. In 2014, the US and NATO formally concluded their combat mission in Afghanistan, but US Pentagon still has thousands of forces based in the country. The Trump administration has sent additional troops to try to change the course of America’s longest war. At least 17 soldiers were killed when their checkpoint came under attack by the Taliban in western Herat province, just hours before the ceasefire announcement, said GelaniFarhad, spokesman for the provincial governor. One soldier was wounded while eight Taliban attackers were killed and more than a dozen others were wounded during the gun battle. 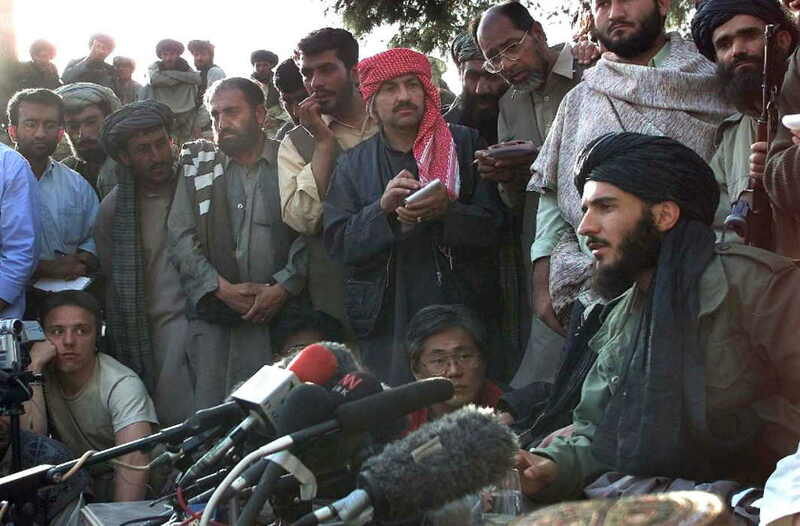 The Taliban has been fighting in different parts of the country since it was removed from power in 2001 by the US-led forces, in the aftermath of 9/11 terror attacks. The Taliban has set the withdrawal of foreign forces as a pre-condition for peace talks.